Our retirement planner will help you understand how much you need to contribute to reach your retirement savings goal. By having a large enough nest egg for your retirement date, you will decrease the impact any changes that might happen to social security. Age: Enter your current age. 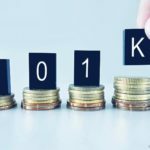 401k Balance: If you currently have a 401k plan or a rollover IRA enter the total current balance. Market Return: This is the expected annual return on the market (may vary depending on your asset allocation). Annual Salary: Enter your pre-tax salary here (hourly individuals should use an estimated annual income before income taxes). Employer Match: Some companies offer a contribution match up to a certain percent. Most companies offer 100% or 50% match up to the employer matching limit. This is usually not available to part time employees and is apart of the employee compensation. Employer Matching Limit: This is the amount the companies matches up to. Company A: Offers to match up to 6% (employer matching limit), with a 50% match (employer match). Company A: Offers to match up to 5% (employer matching limit), with a 100% match (employer match). 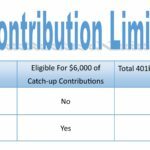 401k Contribution %: By moving the slider, you can change your contributions %. Read more about simple ira contribution limits. Annual Contributions $: An amount will appear after clicking the button "Update Calculator". This is calculated by taking the 401k contribution % and multiplying it by your annual salary. Our early retirement calculator is now available online on our financial websites where companies or financial advisors are more than willing to help you calculate your individual retirement plan. 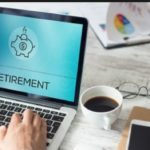 At the same time, though, they will try to sell you on the idea of investment retirement account and make more money out of your retirement income through their individual retirement account services. Retirement planing is something none of us like to really think about much. However, retirement days will come and it is a lot better if one is prepared for them with a fat individual retirement account. In order to live comfortably in your retirement days you must use a retirement calculator to start to calculate your retirement needs as soon as possible; no matter how far away from retirement age you are. Most people are caught up in their daily lives and time flies. Soon it is time for them to retire, and then you will be glad you saved up for your individual retirement plan early. How much money do you think you can contribute to your individual retirement account each month towards your retirement? Typically you will be depositing this money into your 401k retirement account at work or in a normal IRA account. However if you are self-employed, then you can use a SEP IRA or KEOGH individual retirement account which will have to be set up with your bank. What interest rate or rate of return will investments in your investment retirement account bring you before and after retirement? 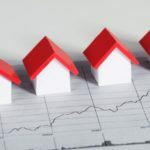 You'll need to estimate what the inflation rate will be as it affects both the buying power and your salary. Inflation has averaged about 4% over the last 10 years and a free retirement calculator will allow you to take these numbers in account. Your retirement age? At what age do you think you will retire? 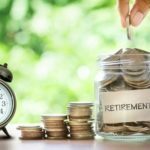 This may or may not be up to you; in case you have saved enough money in your retirement account and want to retire early you can do that too. These are some of the basic questions about your individual retirement plan you will have to enter into our free retirement calculator. 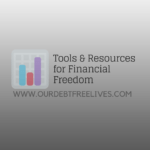 Once you have a fair idea for the above answers, there will be yet another set of questions about your individual retirement plan which will be a lot easier and you may get some help from the provider of the free retirement calculator.